Bardon was an extra-parochial area until 1918, when it was constituted as a separate ecclesiastical parish. It lies ten miles north-west of Leicester, along the main road from Leicester to the county boundary beyond Ashby de la Zouch. The absence of lordship allowed dissent to flourish, and the independent congregation here claims to have been founded in 1662, when dissenting ministers were ejected from the church following Charles II’s Act of Uniformity. The chapel stands on the main road from Leicester to Ashby de la Zouch. According to historian John Nichols, writing in 1811, it was built by John Hood in about 1694. 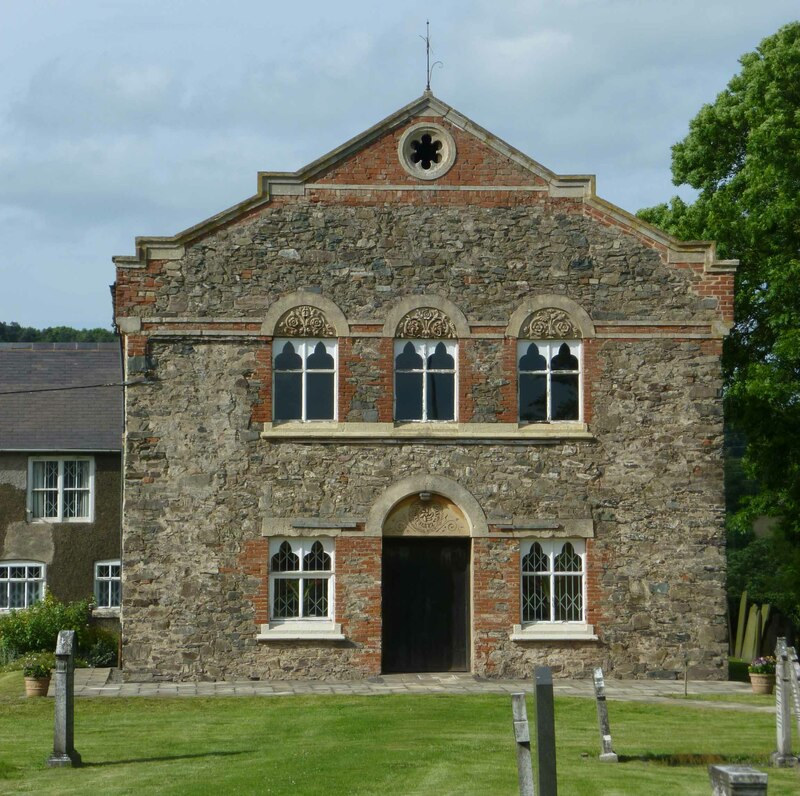 In 1705 John Evans recorded the preachers at Bardon as ‘Michael Matthews of Mountsoarhill & James Watson with other neighbouring ministers by turns at Wanlip’. 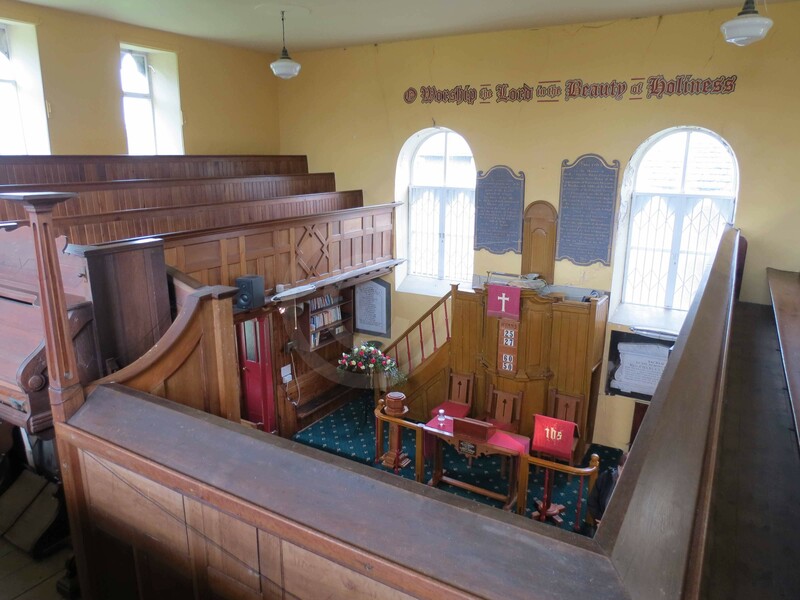 He recorded 340 people attending worship here (exceeded in the county only by Leicester, Lutterworth and Hinckley), and 30 of those were voters, in a period when few owned the 20s. freehold necessary to qualify for the county franchise. The chapel had 250 sittings and a large burial ground, and in 1829 it was said that 300 people worshipped there. On 30 March 1851, 109 people attended the morning service, and 66 attended the Sunday school. 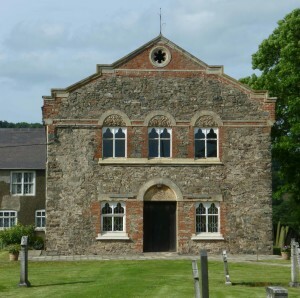 The front of the chapel was ‘updated’ in 1877, when new windows were inserted and the carved pediments over the doors and windows were added. The gable also dates from this period. Inside the chapel is a photograph of the building immediately before those changes were made, which shows two doors at the front, where the lower windows are now, with a central window between them. The interior doors remain on each side. The gallery inside dates from 1905, although the base of a pillar from an earlier gallery still remains. I am very grateful to chapel members for talking to me about the history of this building. John Evans’s list of dissenting congregations: Dr Williams’s Library, MS 34.4. D.L. Wykes, ‘Bardon Park Meeting-House: the registration of Nonconformist places of worship under the Act of Toleration (1689).